My Moisturizer Has Oil in It: Is Sealing Necessary? Most veteran naturals have heard the term sealing your ends. When I was newly natural, the little that I knew to do was to wet my hair, add some Parnevu T-Tree Leave-In Conditioner or Cantu Shea Butter Leave In Conditioning Repair Cream, olive oil, and slather some Ampro Pro Style Protein Styling Gel on it. Do some of you remember those days? Well when the practice of sealing came around, I was a freshman in the University of Natural Hair who was a bit of a rebellious student, so I wasn't buying it. Since then the concept has produced much debate amongst the community of naturals and stylists. Some have questioned whether you can truly seal the cuticle and some have opted for the term locking in moisture, coined from the L.O.C Method of moisturizing. I decided to observe this trend. Some have questioned whether you can truly seal the cuticle and some have opted for 'locking in' moisture. Overtime I learned that we were really onto something when we stumbled upon this concept. Relaxers break the hydrogen bonds between the keratin proteins that make up the hair, resulting in a desperate need for strengthening and moisturizing. Now that we are natural, our protein bonds are in tact, but our curls and coils still crave hydration. As we know, the hair is made up of cuticles. I like how blogger Chicoro from Beautify Bit by Bit explains the hair shaft: “The cuticles on the hair strand operate like a vent. Cuticles lift naturally from certain products such as with soaps and surfactants. Cuticles are then lowered from the perfect balanced vinegar rinse and other conditioning types of rinses. When you have finished washing and conditioning your hair, ideally, you want to have cuticles that are lowered and closed tightly over the hair strand." With this understanding we recognize that as the hair dries, moisture is lost. Applying a moisturizer followed by a sealer, which functions as a barrier, has proven to be effective for moisture retention. Here is a typical recipe for sealing your hair. Must you seal the hair with oil if you use a moisturizer formulated with oil? In seeking this answer, we consulted Will Williams, the director of education and product development with M & M Products Company. Williams created one of the few retail product sealers called Sofn'Free Nothing But Curl Sealer. Williams directly answers the probing question: "Yes, you must seal the hair with oil, as you will not know the percentage of oil in the moisturizer. You should cleanse, condition, apply leave-in conditioner, and then begin the styling process with a sealer, which delays (not eliminates) the evaporation of moisture from your hair." Williams further explains the need to choose an appropriate sealer, one that will not suffocate the cuticle, attract dirt and debris, or deteriorate the hair such as synthetic and highly processed products, but rather choose a sealer that will have a "proper exchange between the environment and hair." 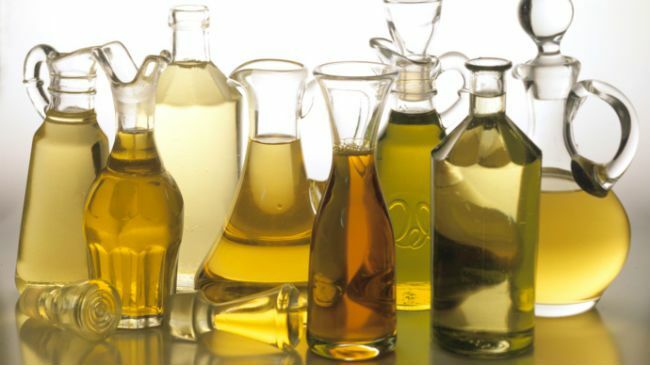 Otherwise, you will not be able to continually add moisture into the hair and will need to cleanse your hair to remove the suffocating oil, in order to rehydrate. Williams recommends moisturizing and sealing often with a light oil such as argan oil or sweet almond oil. Having assessed this additional information, it is clear that cleansing, deep conditioning, and applying a leave-in conditioner are effective. It is also clear that “locking” or “sealing” in moisture with oil is effective. How often you moisturize and seal, what product you choose, and which specific moisture method you decide to use will be based on your individual hair needs. Start with getting to know your unique strands. Conduct a porosity test to determine if your hair loses moisture at a rapid rate (high porosity), at an extremely slow rate (low porosity), or somewhere in between (normal porosity). From there, determine what is best for you, whether it be a moisturizer formulated with oils, the L.O.C method, a pure oil, or utilizing a retail sealer. Do you have a preferred sealing method? Chime in with your conclusions!